Please see the Upload a Photo article for detailed instructions. These photos are only visible to you and your coach. 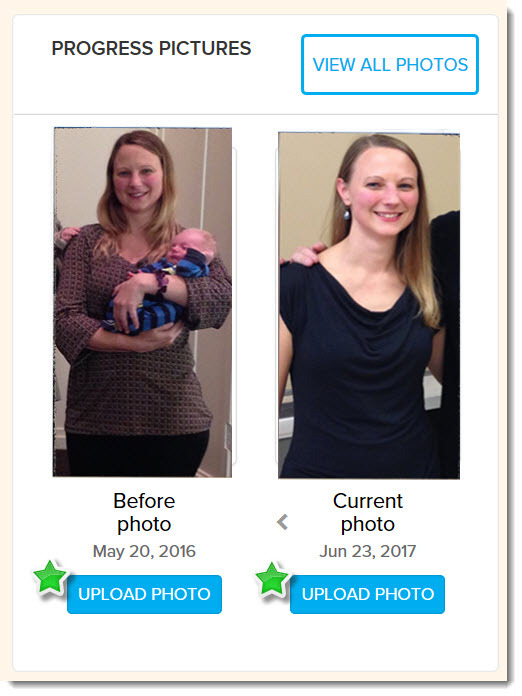 To track your transformation we recommend uploading a Before photo. 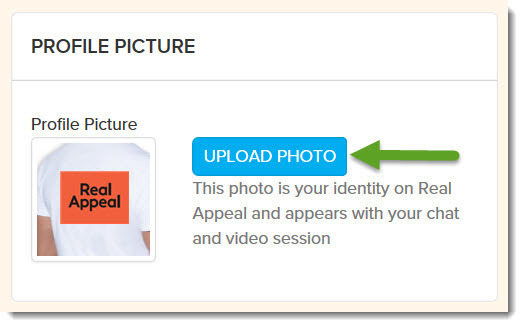 Each month our system will remind you to upload a Current photo. 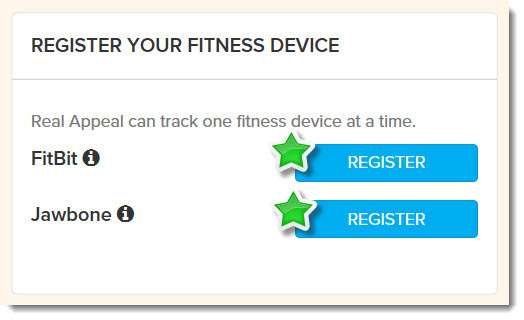 Click Register and follow the steps to sync your fitness device. For detailed information on how to complete the registration, see the Register and Sync Your Fitbit or Jawbone article. Please see the System Test article for additional information. If you have any questions or need assistance, please give us a call or email us! We can be reached at effect@realappeal.com or at 1-844-934-REAL (7325) Monday through Friday between 4 am and 8 pm Pacific Time.